Simmons is Hydra! She's evil! Ok, that second exclamation may be the wrong assumption. 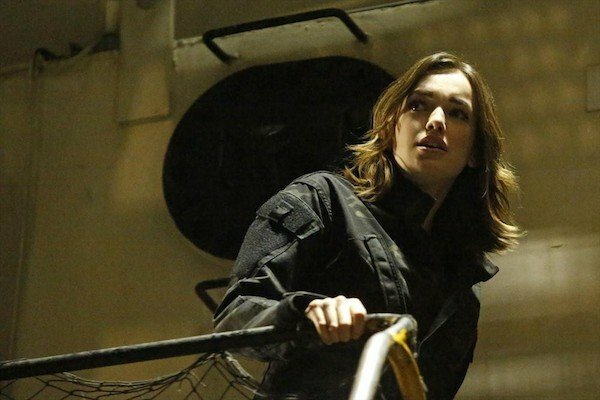 The clip, which comes via TV Guide does reveal that Jemma Simmons appears to be happily employed at a Hydra lab, but it's very possible -- even likely -- that she's working undercover on behalf of Coulson. 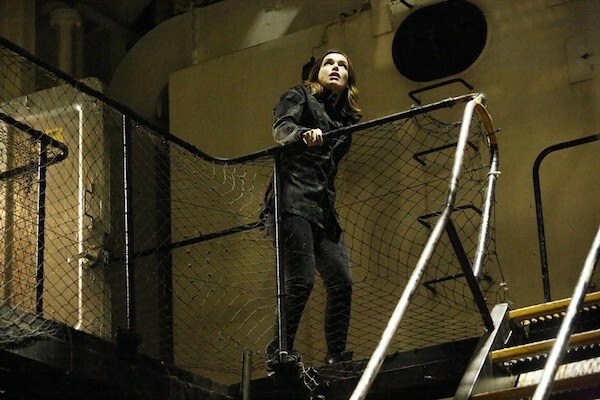 A task as crucial and risky as that one could only be left in the hands of someone as capable as Jemma Simmons. And it would certainly explain her reason for leaving Fitz behind. As for the sequence above, is it me, or does this clip have that sort of cheerfully ominous tone to it, like things are a little too happy and something's not quite right. Also, did anyone else experience a major Lost flashback? Simmons is "caught in the crossfire" as Coulson and his team race against Hydra to get to Donnie Gill. Remember Donnie? The character was introduced in Season 1, but that was before Hydra reared its evil head. how does he factor into this situation? We'll presumably find out. In the meantime, back to Simmons, can we talk about her hair? I'm not trying to be superficial here, and this may come out all wrong, but Hydra kind of suits her look, no?.. What's she up to there? Spying, perhaps? Hiding? On the run? We can only speculate until Tuesday night when Agents of S.H.I.E.L.D. returns!